Turquoise Place condos in Orange Beach, Alabama are simply spectacular. From the developer of the Caribe resort, Turquoise is the talk of the town from both rental and sales standpoints. 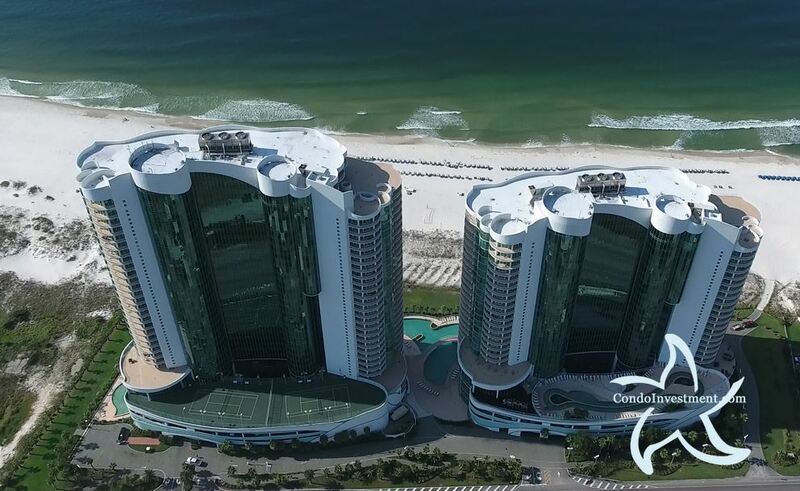 The aesthetics of the exterior of the building are obviously alluring, with shimmering turquoise glass and unique architecture; however, it is the interior that sets Turquoise Place apart from other luxury addresses along the Alabama Gulf Coast. While staying at Turquoise Place you don’t need to walk to an amenity level or to the pool to relax in the hot tub: it’s on your balcony. While you’re soaking up the warmth overlooking the beautiful Gulf of Mexico, a romantic dinner is cooking over the flames of your balcony grill. Set up a table for dinner on the balcony and enjoy one of the Gulf Coast’s famous crimson sunsets while you eat. Give us a call if you are interested in Turquoise Place or any other condos for sale in Orange Beach, Alabama. We also have the same info available for surrounding Gulf Coast towns: Gulf Shores condos for sale and Perdido Key condos for sale.